It is with great excitement that we announce “Satoshi’s Vision: Bitcoin Development & Scaling Conference.” This single-day event will bring together like-minded developers, researchers and industry leaders committed to the vision of Bitcoin as a peer-to-peer electronic cash system for the world’s seven billion people. 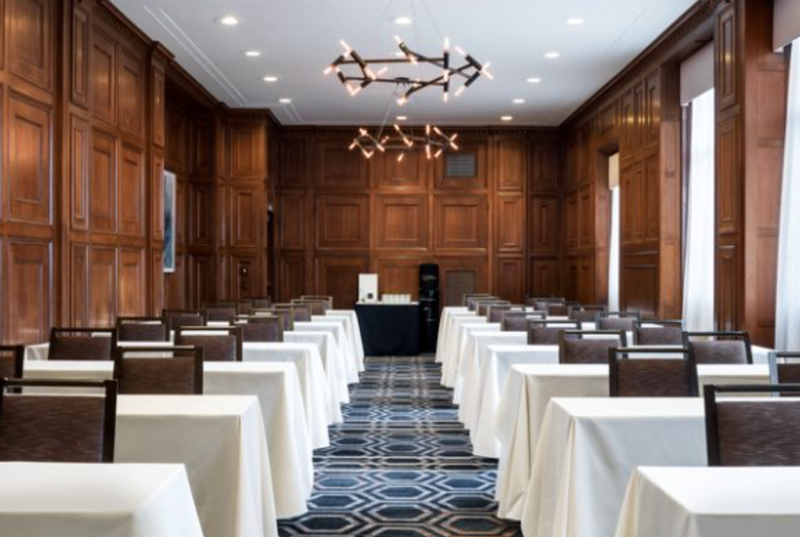 The event will be held at the St. Francis Hotel, overlooking Union Square in the heart of San Francisco. The morning session will explore the scaling solutions developed over the past year, ready and waiting to meet an order-of-magnitude increase in transactional demand. 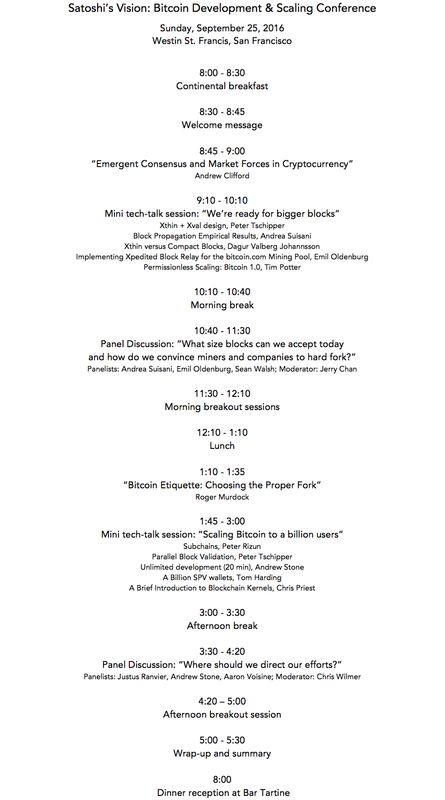 The afternoon session will focus on longer-term scaling initiatives to on-board Bitcoin’s first billion users. The agenda is designed to maximize discussion among conference attendees. Talks will be short (two 20-min talks and approximately eight 10-min “mini talks”) and each will be followed by a Q&A period. The panel sessions will be interactive with the audience, and the breakout sessions will give all attendees a chance to further develop ideas related to the topics introduced in the talks and panel sessions. The day will conclude with a dinner reception at a popular eatery. Although the conference is intended to be a small and intimate event, a very limited number of tickets can be purchased via this webform. We gratefully acknowledge the extremely generous donations made anonymously to the Bitcoin Unlimited Community Organization that make this event possible. Thanks to Jerry David. No rights reserved by the author.